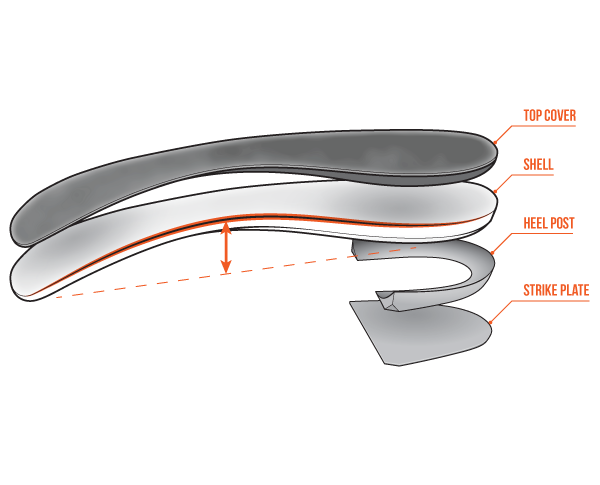 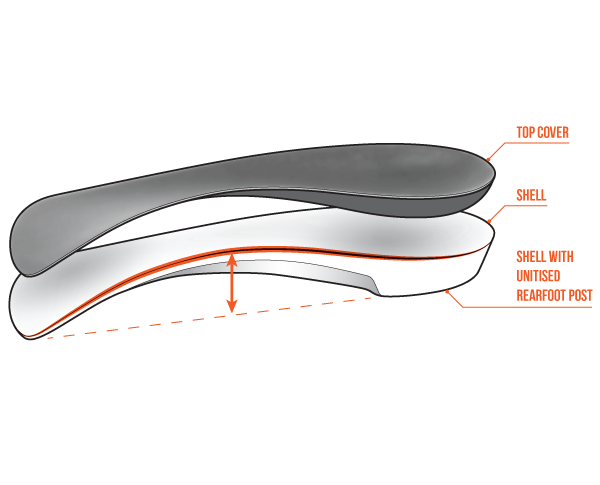 Firefly Orthoses is the exclusive distributor of the Richie Brace ankle foot orthosis for the UK and Ireland. 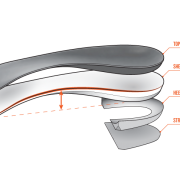 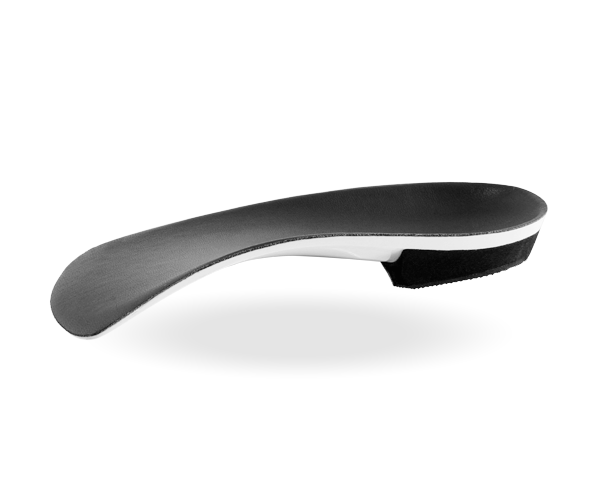 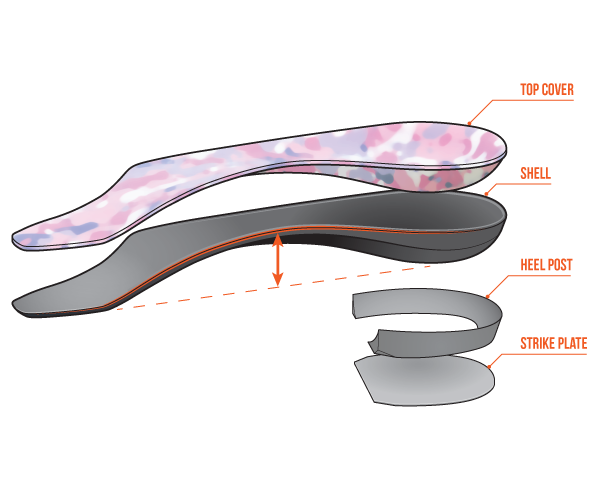 The Richie Brace is prescribed for the treatment of chronic foot and ankle conditions. 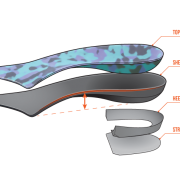 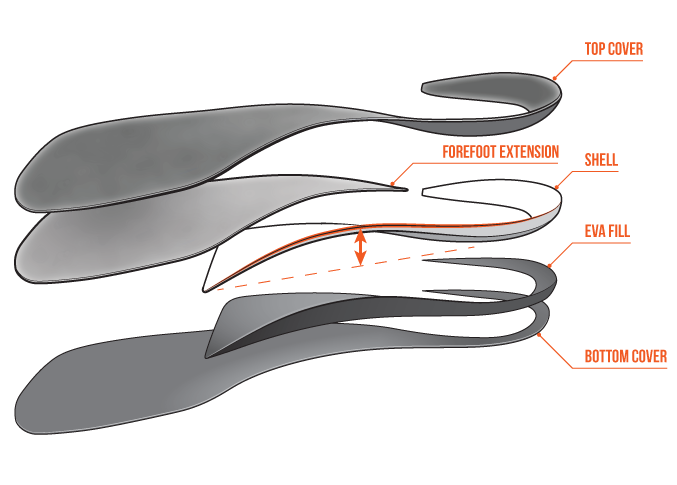 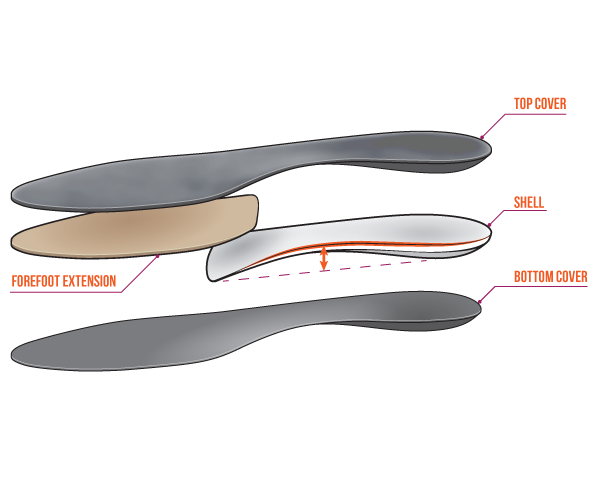 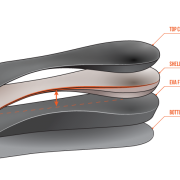 Partnering with Allied OSI Labs, Firefly Orthoses exclusively distribute the American manufacturers devices into the UK and Ireland. 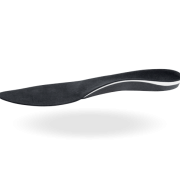 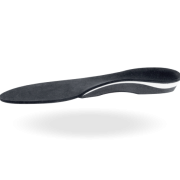 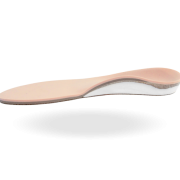 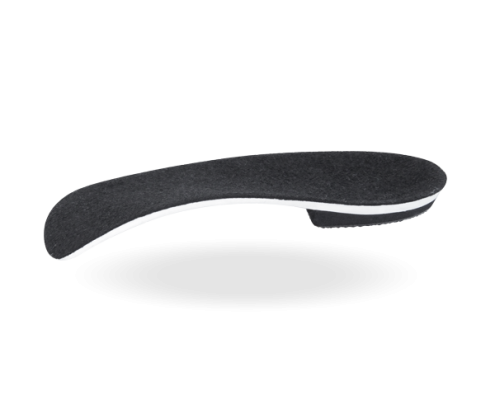 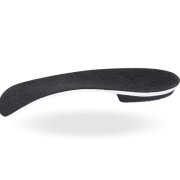 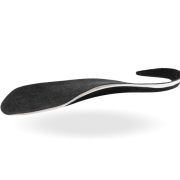 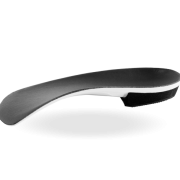 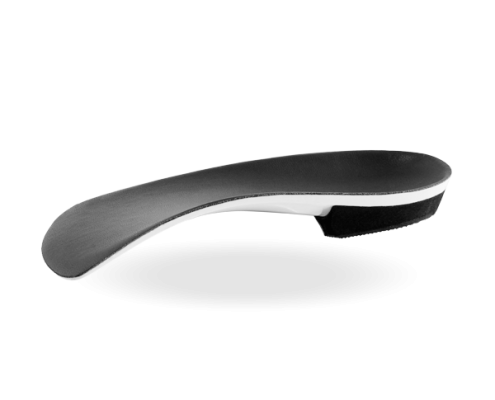 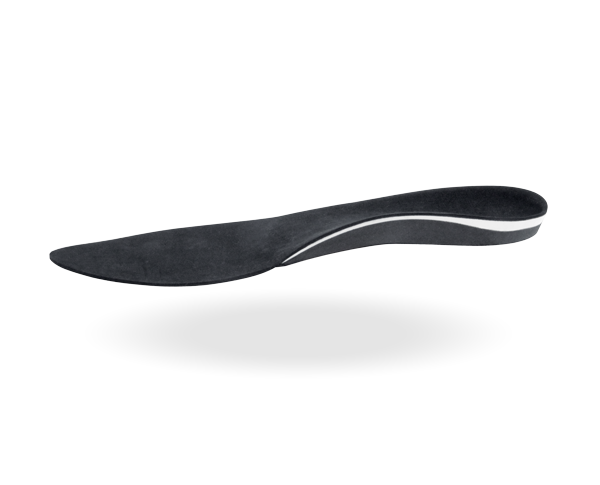 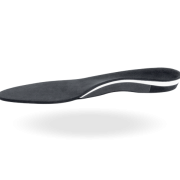 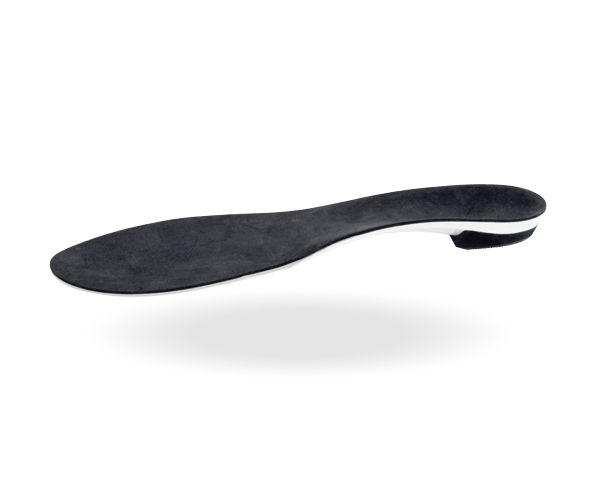 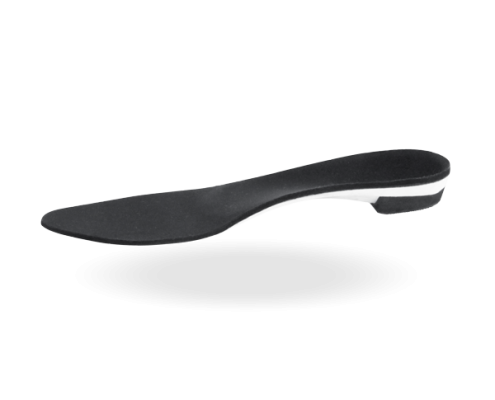 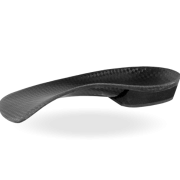 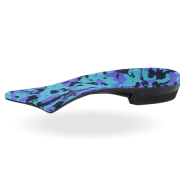 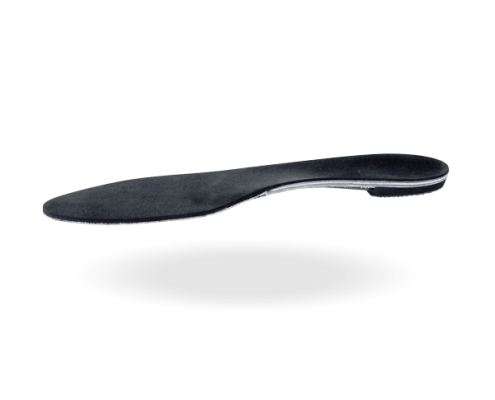 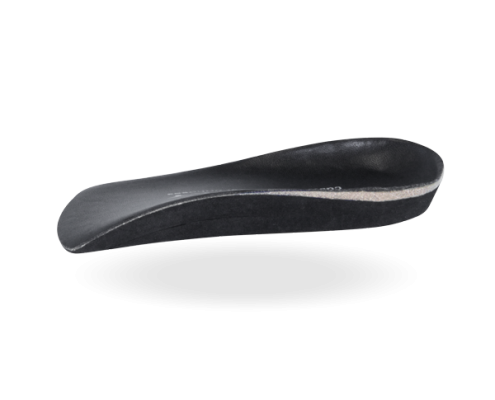 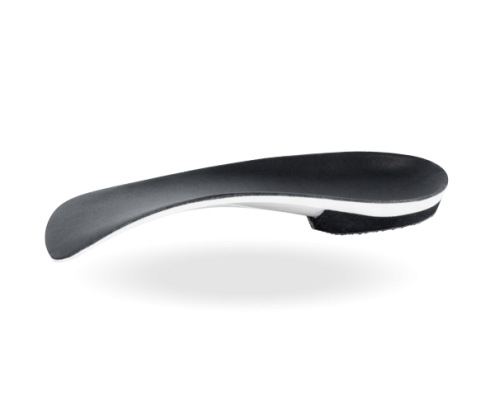 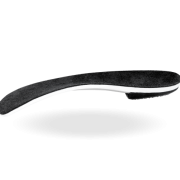 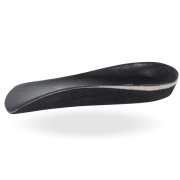 Over the counter (OTC) generic injection moulded semi-rigid orthoses suitable for the effective treatment of a limited range of conditions, particularly the rapidly growing feet of children. 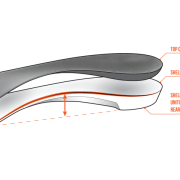 With SHIELD insurance Firefly provide customers with additional protection for their custom made orthoses. 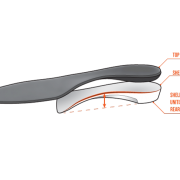 SHIELD insurance extends the 6-month standard warranty of devices, accommodates two full refurbishments and reduces the cost of replacing lost or damaged devices. 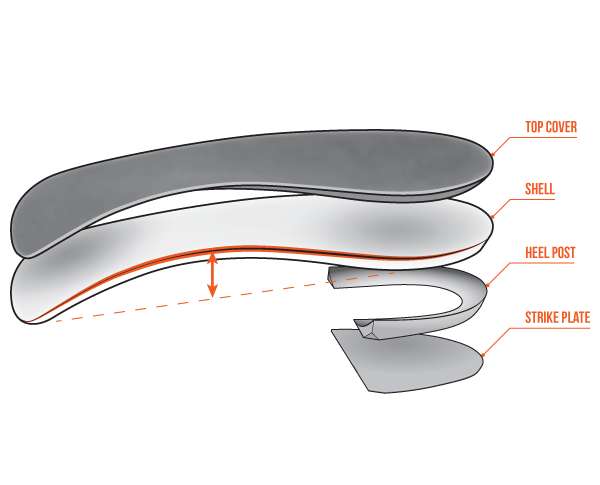 We stand over the quality of our custom made devices, offering guarantees on materials used. 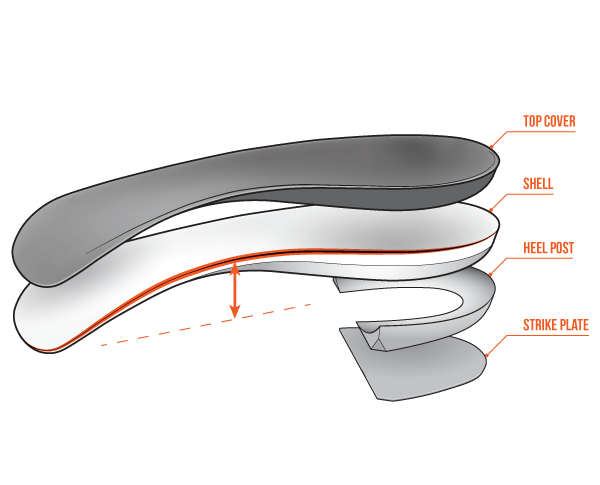 We accommodate minor adjustments to original prescriptions for fit, function and/or comfort at no charge, within 6 months from date of shipping. 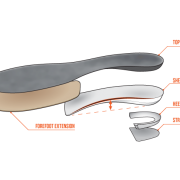 A CNC ‘milled’ variant of our Standard Functional device. Most men’s and ladies’ athletic, walking, hiking, work boots and lace-up casual footwear, slip-on footwear with moderate to deep heel area depth. 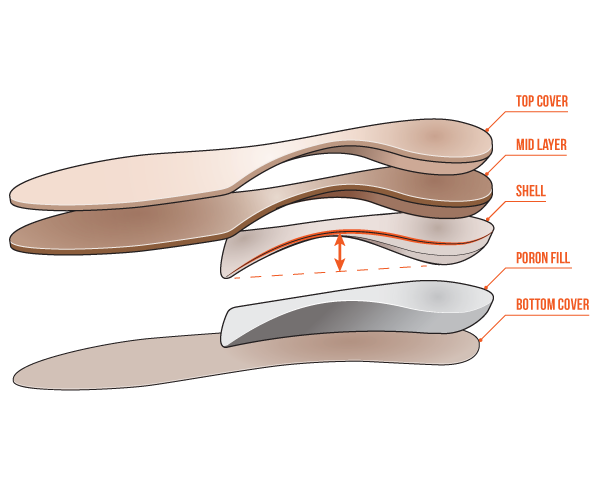 Note: Milled shells are generally less flexible, but extremely durable. 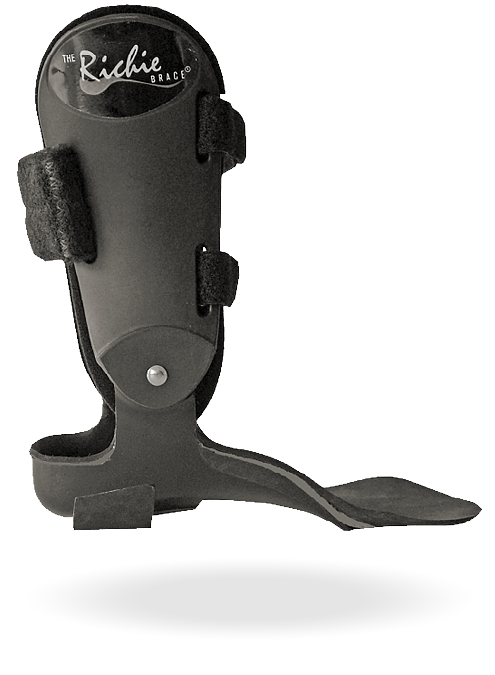 Most men’s and ladies’ athletic walking, hiking, work boots, and lace-ups, casual footwear, slip-on footwear with moderate to deep heel area depth. 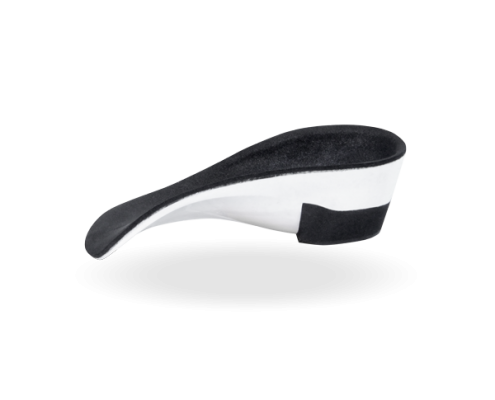 Most ladies’ slip-on casual and dress shoes with heel heights less than 3cm. 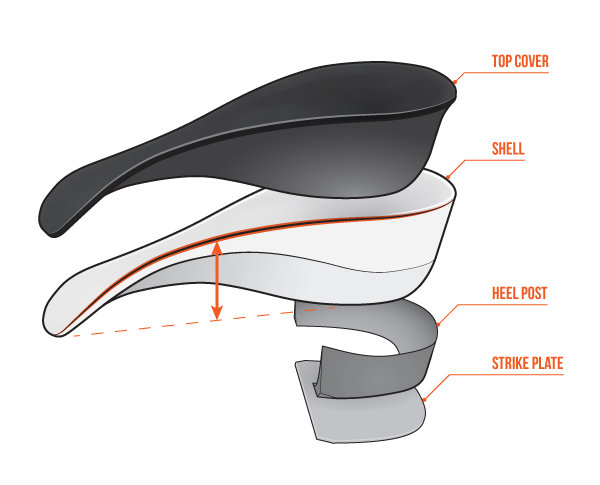 Performance Rx, XT Sprint, TL2100. 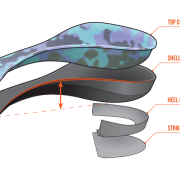 A modified functional shell style designed for low volume men’s footwear. 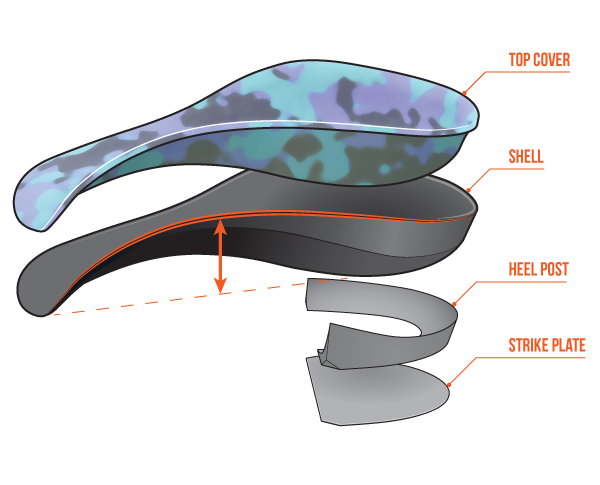 A hybrid shell style designed for high heels. 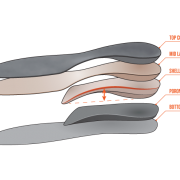 Note: Fore-foot posting options only. A modified slimline shell style with no heel cup. 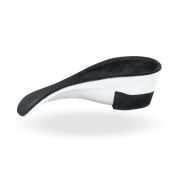 Most ladies’ slip-on casual and dress shoes with a low cut counter and heel height less than 3cm. 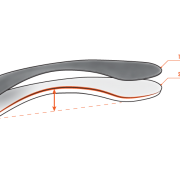 Note: No Rear-foot angles possible. 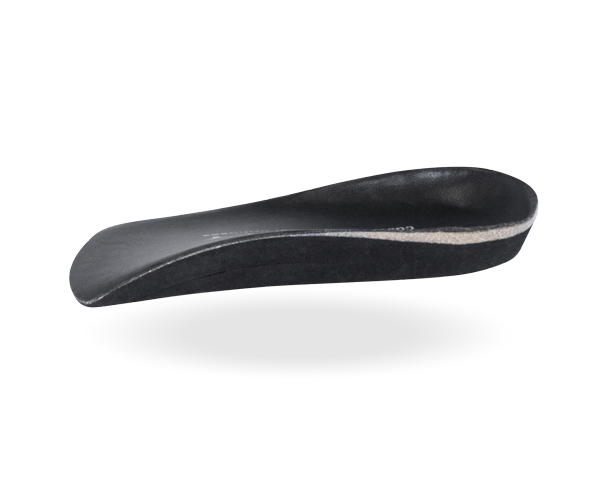 A modified slimline shell style with a shallow heel cup. XT Sprint, TL2100, Performance Rx. 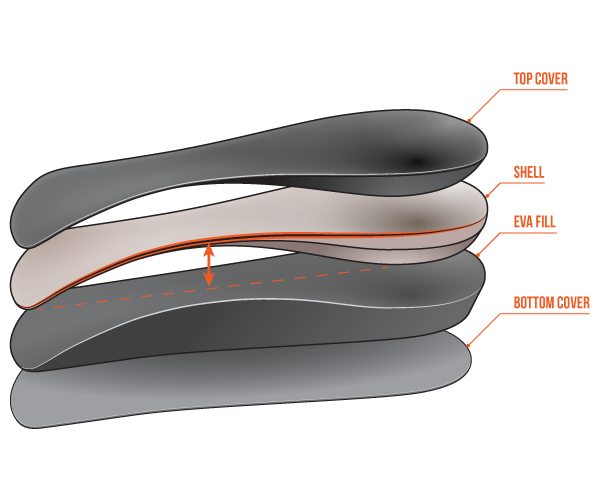 Note: Omitting the extrinsic rear-foot post will reduce bulk to absolute minimum. 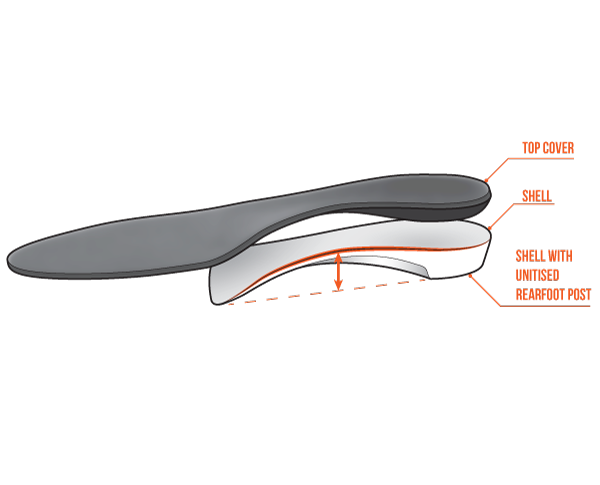 A slimline sports device with superior durability, designed specifically for studded football boots or similar footwear. 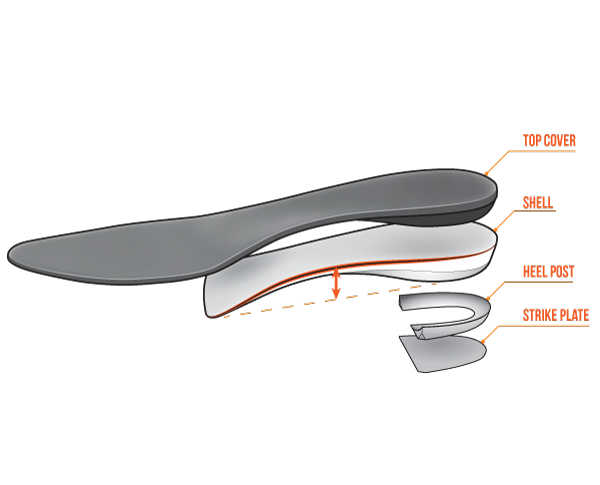 A modified functional design offering a high level of control and maximum shock attenuation. 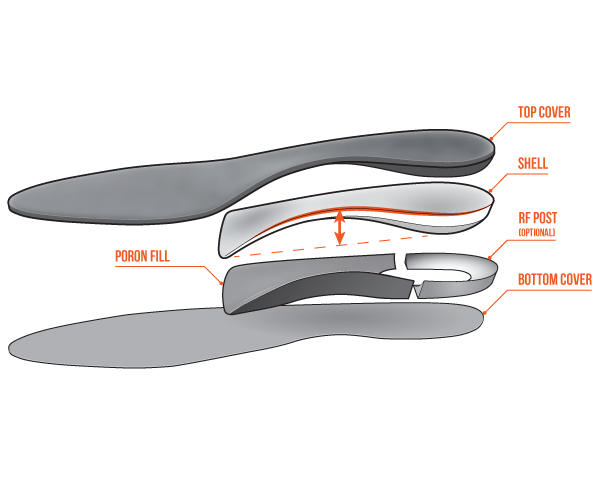 Most men’s, ladies’ and children’s athletic style footwear where maximum shock attenuation is important. 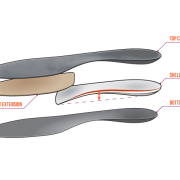 Note: Consider an under cut in the Poron fill for increased shell flexibility. 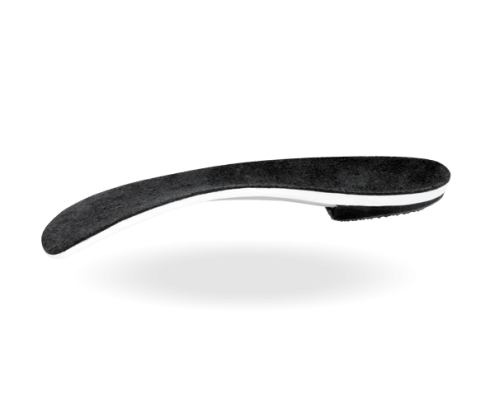 A thinner and slightly narrower variant of our Standard Sport. 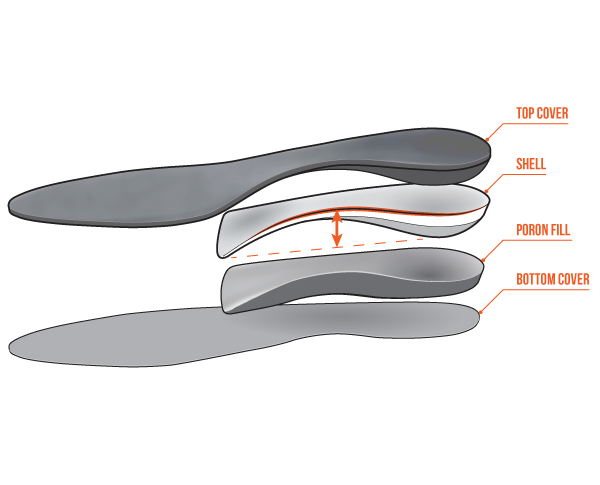 Most men’s, ladies’ and children’s lower volume athletic style footwear. 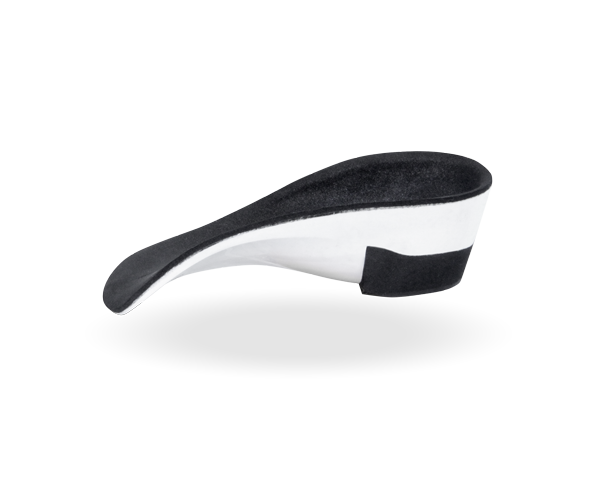 Note: Works well in cycling and golf shoes. 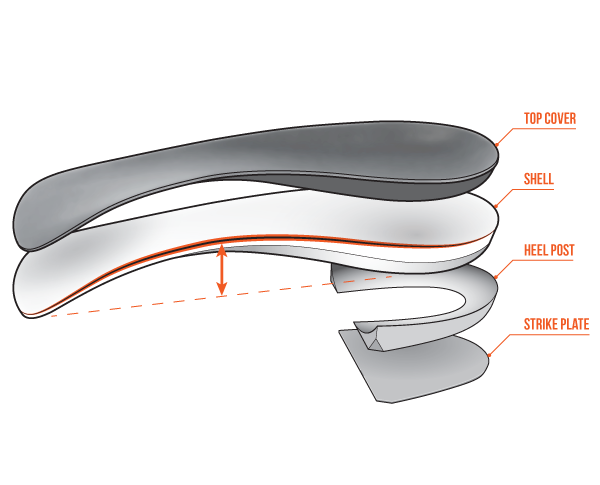 A CNC ‘Milled’ variant of our Standard Sport device. 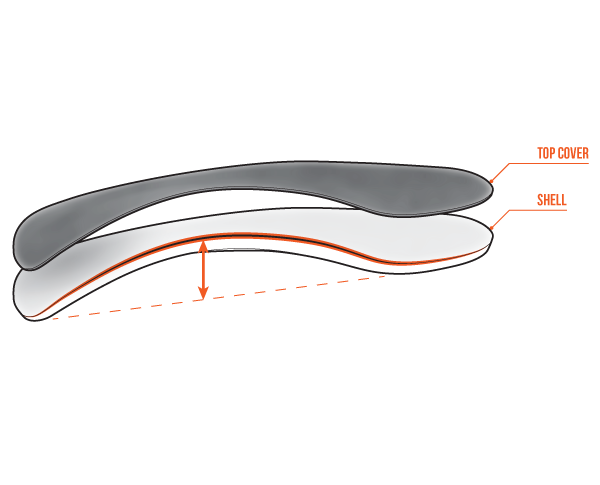 Most men’s, ladies’ and children’s athletic style footwear with removable manufacturer’s insoles. 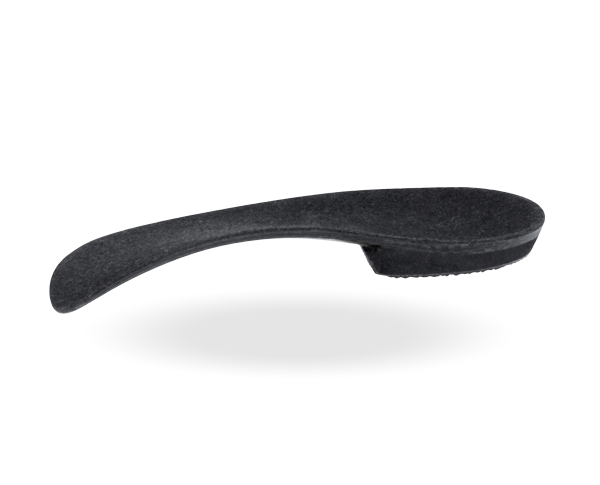 Note: Great for heavy duty use. 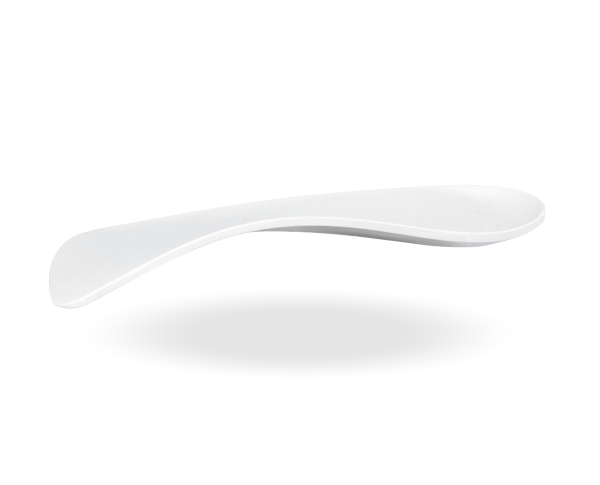 A reduced thickness with a slightly narrower variant of our Standard Mould. 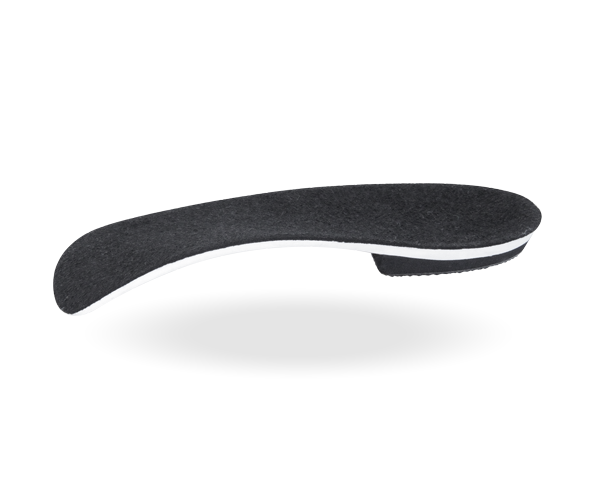 Suitable for arthritic and/or hypersensitive feet, for use in most men’s and ladies’ athletic walking, hiking, work boots and lace-up casual footwear as well as slip-on footwear with moderate to deep heel area depth. 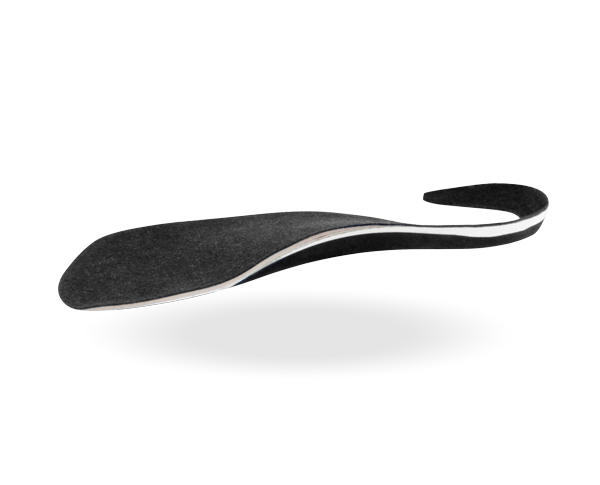 Reduced functional ranges of motion Recalcitrant Plantar Fasciitis. 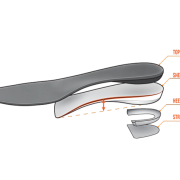 A total contact device designed for management of high-risk diabetic feet. 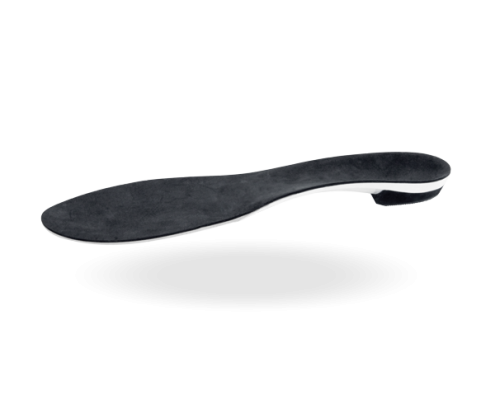 Suitable for diabetic feet during athletic activity, walking and extra depth footwear. 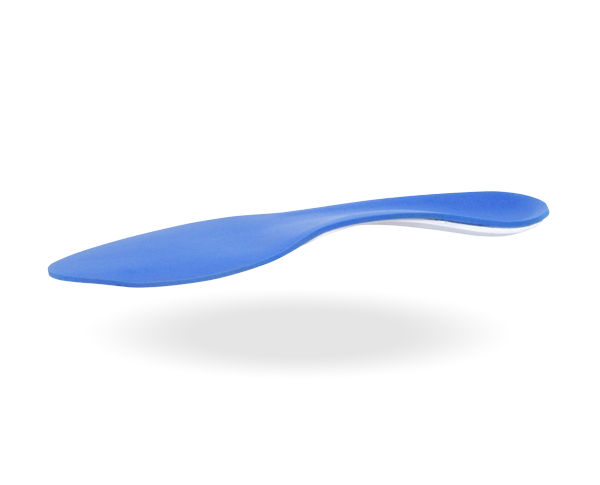 Note: Practical, spacious footwear required. 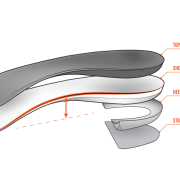 An accommodative device offering maximum shock attenuation. 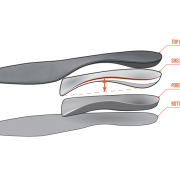 EVA arch fill option for increased control. 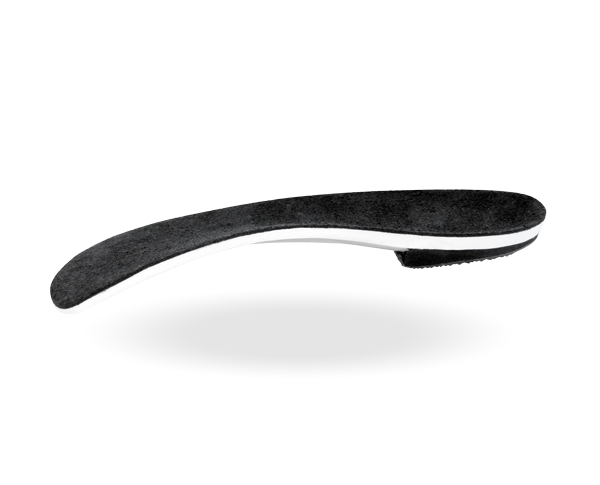 Note: Our most palliative device. 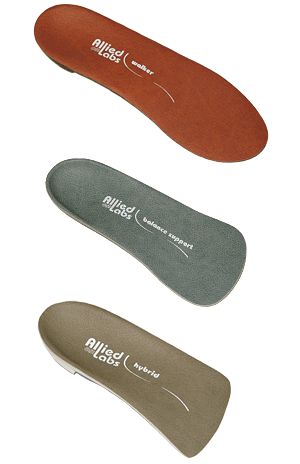 Use Poron/Micro-suede combination cover for ultimate softness. 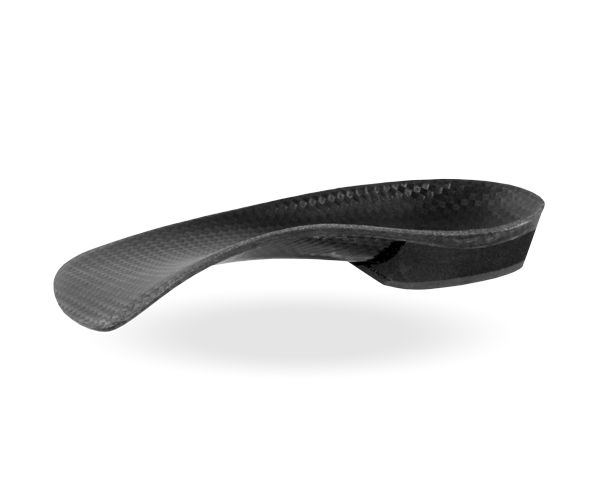 A functional shell style modified to induce out-toeing or in-toeing in children. 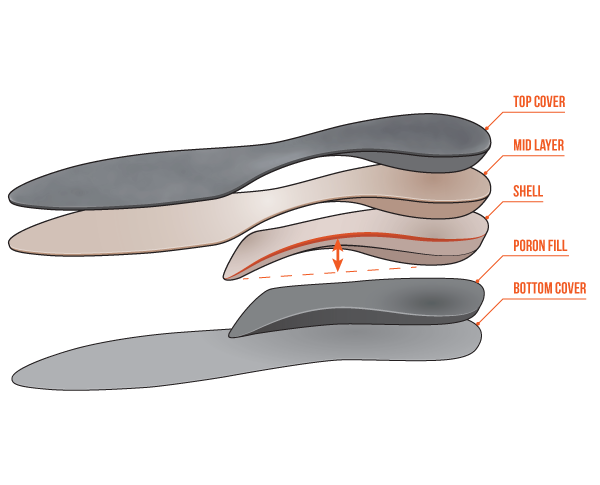 1.5mm Puff top cover to mets. 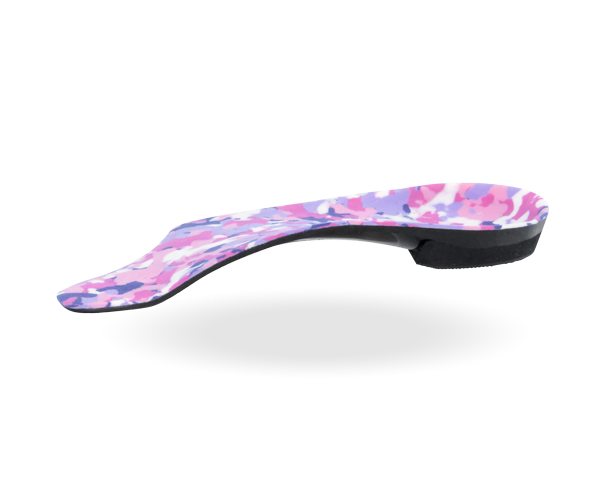 A hybrid shell style featuring a high medial profile and lateral heel clip. 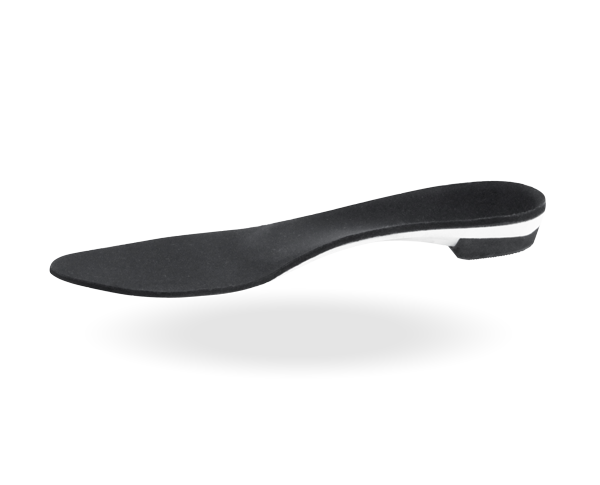 Vinyl or 1.5mm Puff top cover (depending on foot size). 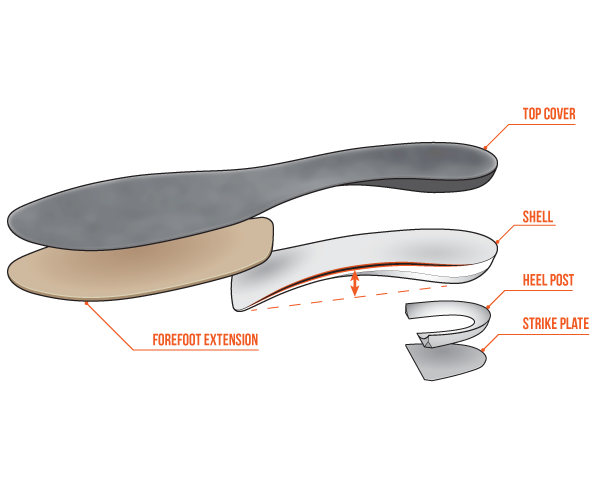 Note: Sometimes better tolerated and accommodated than a UCBL shell style. 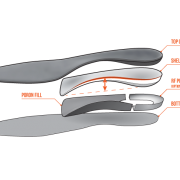 The gold standard shell style for maximum control of Subtalar Joint function. 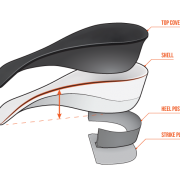 A functional shell style made from medium durometer EVA. 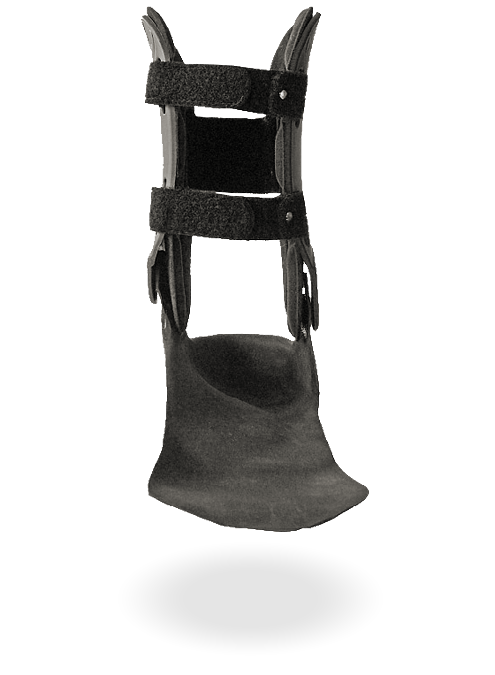 Plastazote block built on 3mm Polypropylene or cork base (stiffens device to prevent pinching). 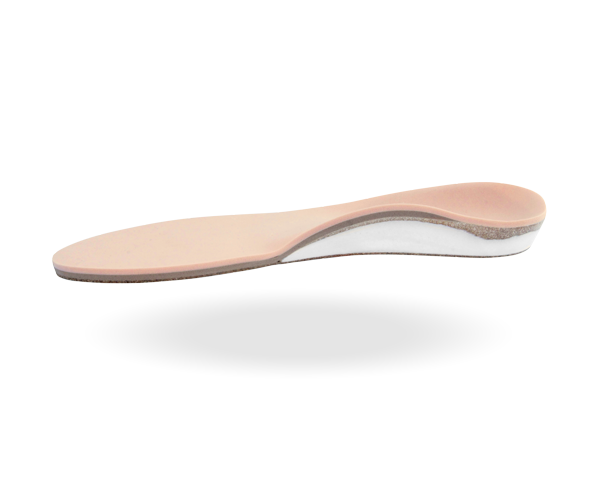 Chosen material applied to plantar aspect of device, ground flush with rearfoot stabilizer, tapered on sides. 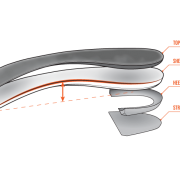 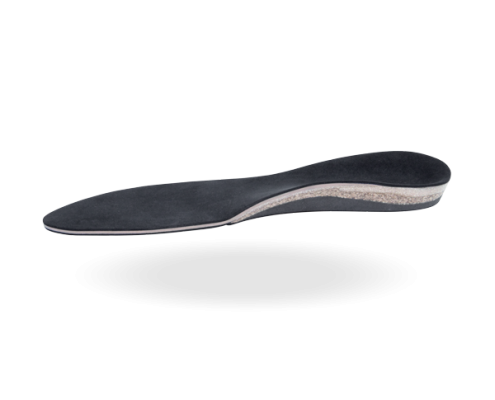 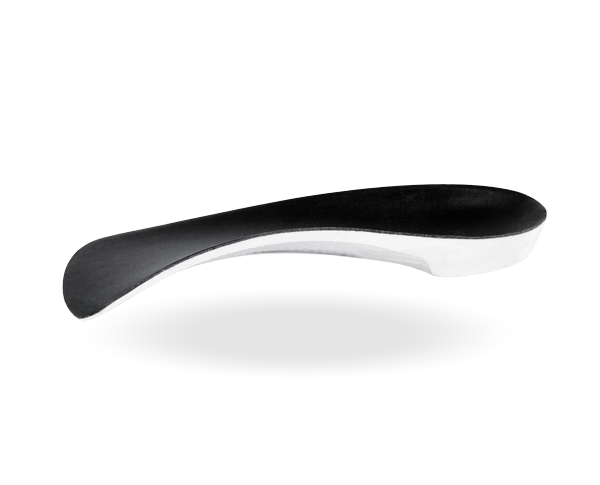 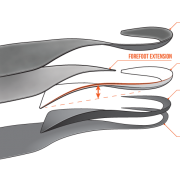 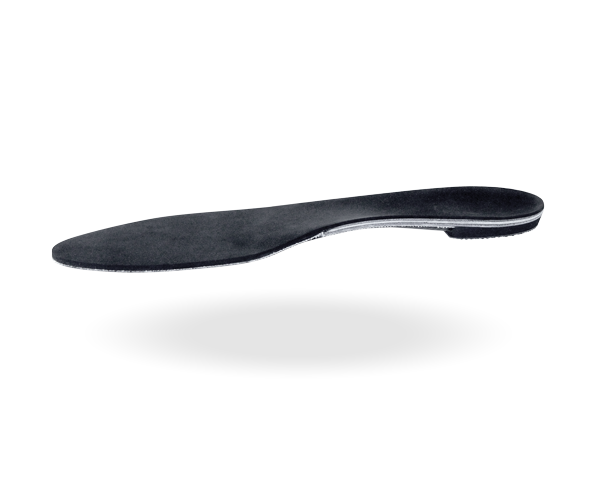 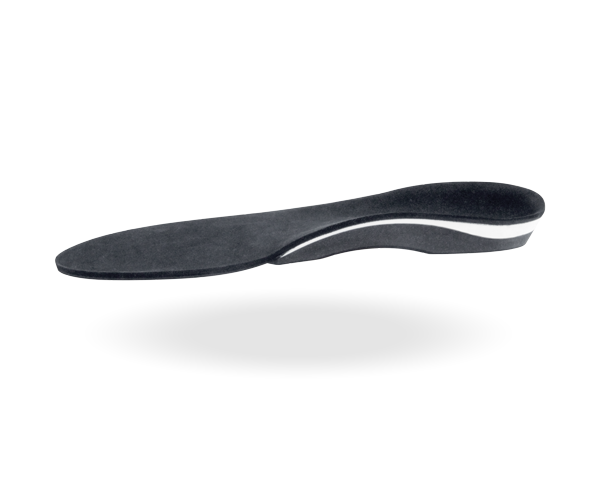 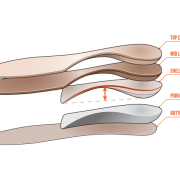 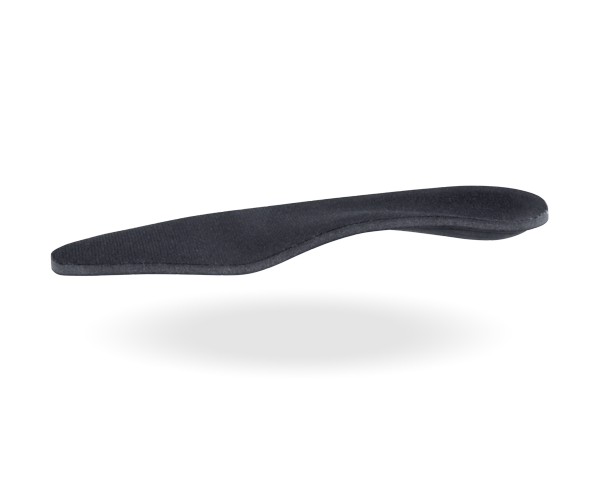 Note: Custom orthoses will most often support the lateral column adequately as the contour of the LLA is captured in the negative. 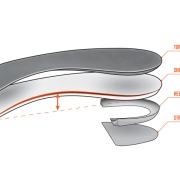 Entire surface area of heel cup, extending distally to level of anterior calcaneus. 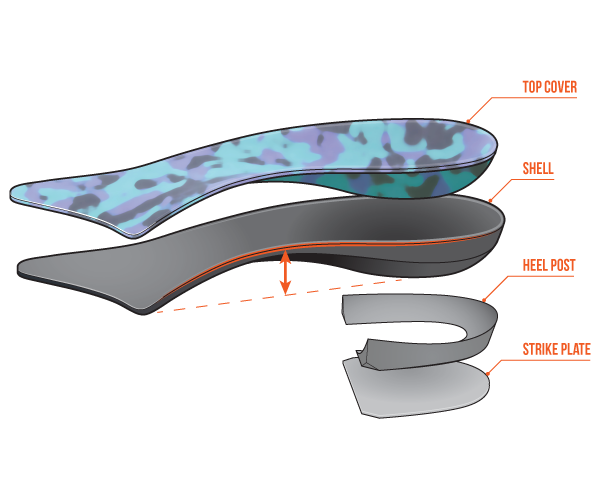 Heel cup depth greater than lab standard for desired device: (range from 14 mm-32 mm). 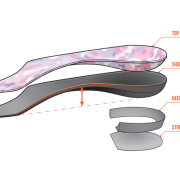 Footwear which cannot accommodate extra width needed for device.